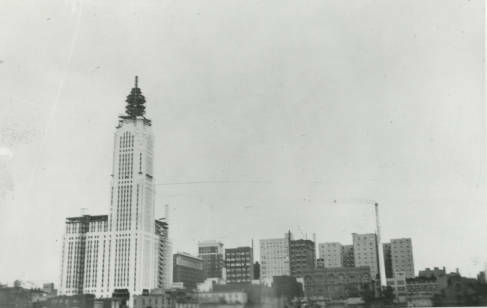 When the LeVeque Tower was built in the 1920s, it was the city’s tallest building. 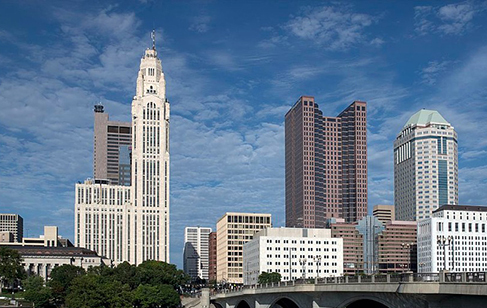 See how downtown Columbus’ skyline has since developed. From its opening in 1927, the LeVeque Tower in downtown Columbus has been a prominent landmark with a troubled history. But a $28 million renovation promises a renaissance. Go on a behind-the-scenes tour with the architects of the LeVeque Tower renovation. This entry was posted	on Tuesday, December 13th, 2016 at 5:19 pm	and is filed under Past and Present, Photograph. You can follow any responses to this entry through the RSS 2.0 feed. Both comments and pings are currently closed.